Google Assistant has rolled out an update that allows users to set their preferred method of travel. 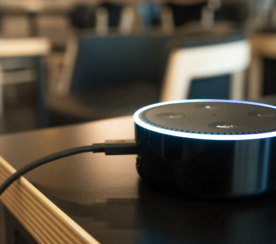 With a preference set, Google Assistant will default to this method when travel times are searched for. The new “getting around” preference has been in testing since last month, so you may have already seen it if you were selected for the test. Everyone else will now have access to the new setting as well. Google asks how you get to work, and how you generally get around to other places. 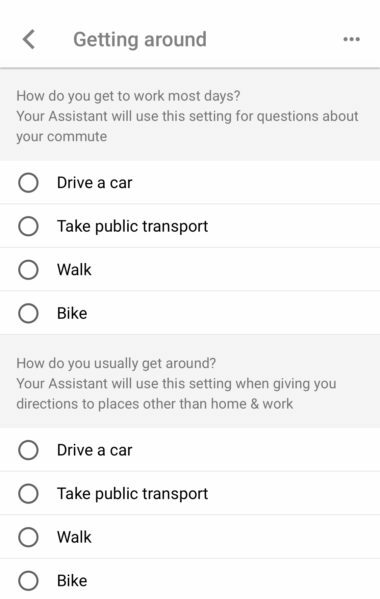 So if you walk to work, but usually drive a car to get to other places, then Google Assistant will know which travel method to select. It appears that this update to the Google Assistant app, for both iOS and Android, was completed server-side. There is no update to download from either app store, the new setting should just appear.